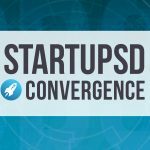 Come connect with the Startup San Diego community in style! Come meet some of the best talent, and future stars of the San Diego tech-ecosystem! Check back closer to the event for details and the link to buy tickets.